Bébé, victime d'une erreur... ? This piece was written by someone who is not a specialist in early cinema, in the sense that I have not spent enough time in archives seeing films in their raw state, and I don't read regularly enough the specialist press. If I had done the latter, in particular, I would be better placed to know whether what I'll be saying is known, done and dusted. Despite the risk of redundancy, this can serve at least as an illustration of method. Here is how the question (in the heading above) arose. I have been researching into how studios before around 1920 made use of their immediate environs, to the point that we can speak of their productions as a kind of local cinema. 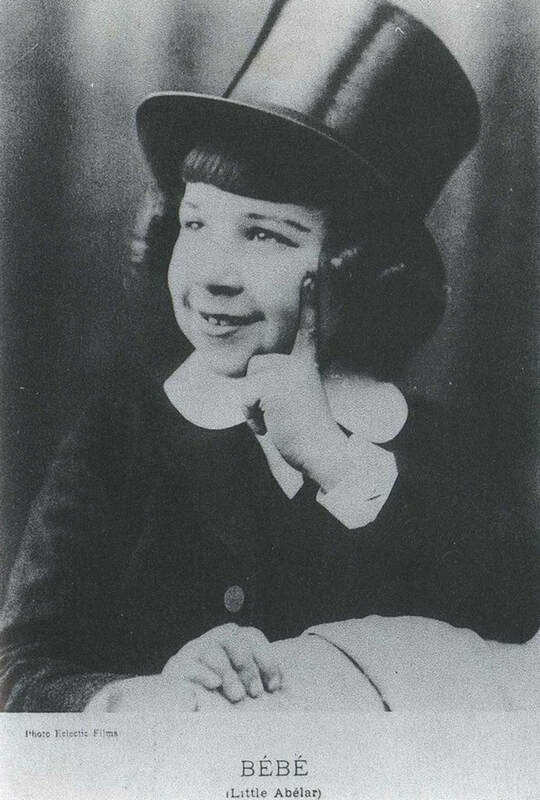 I began with a studio local to me, here in Muswell Hill (Robert Paul's Animatograph Works, see here), and have moved on to films made near the Gaumont studios in Paris (see here) and films made near the Pathé studios in Vincennes (see here) and Montreuil (see here). 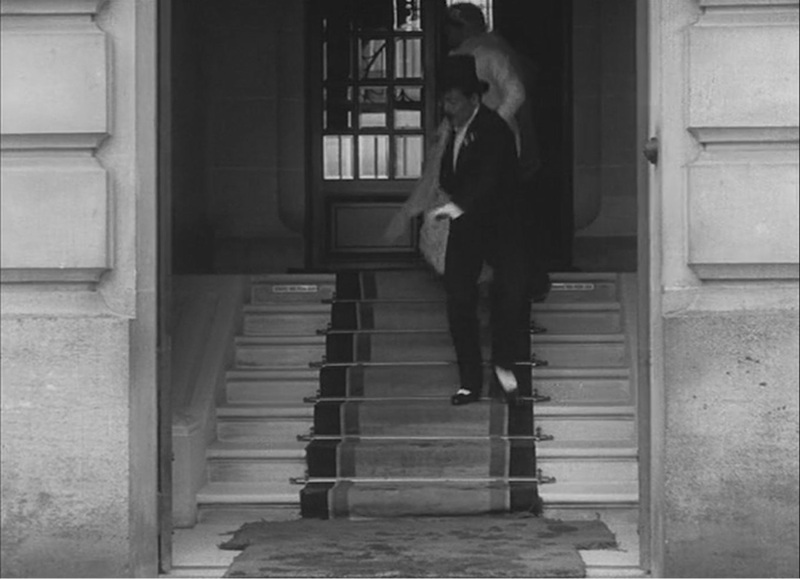 Without archives, the corpus on which I have been able to draw for Gaumont and Pathé is very small, limited to a few dvd editions and some (usually very poor) online uploads. To compensate I have made sure to look very closely at the films I can see, likewise at the fragments of films I can see. The extract ends there, frustratingly since Bébé seems to be exerting an hypnotic power over the shop assistant, and it would be interesting to see where that leads. But for us there are two more interesting questions: when is this happening, and where. The Cinémathèque programme dates this film 1912. 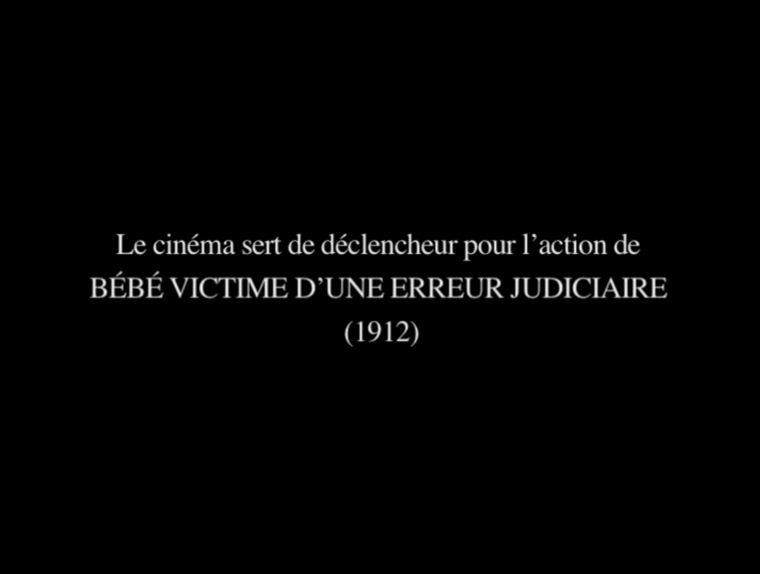 Francis Lacassin, in his Feuillade filmography, dates it February 2 1912, though curiously this is one of only two films from that year (the other is Bébé roi des policiers) for which he supplies no details whatsoever, as if he wasn't at all sure that it belonged. 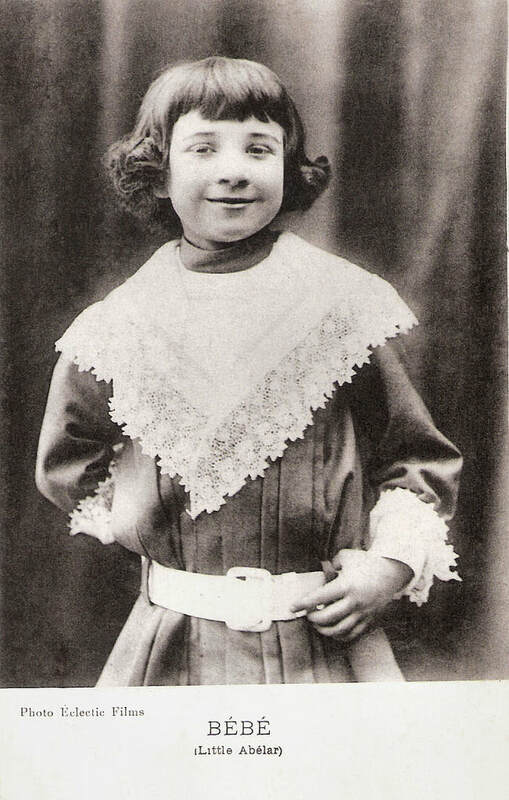 The film is listed at the Forum des Images as Bébé joue au cinéma, and is dated 1911. And we know that the Gaumont dvds give two different dates. It is to me inconceivable that a Gaumont filmmaker should take his company over to the rival Pathé studios (about 5 kilometres) to make a film about filming in a studio and then in the street, when he could have done the same thing in his own studio and in his own streets. There must be another explanation. At the end of 1912 Clément Mary (who plays Bébé) stopped working for Gaumont and went over to Pathé (or rather its subsidiary Eclectic). The Pathé catalogue does not include Bébé victime d'une erreur judiciaire among the films he made for them. 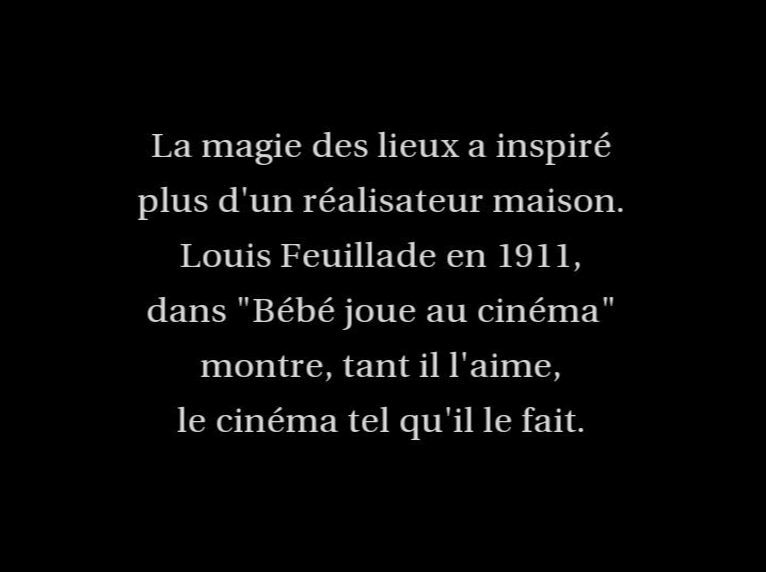 It does include a film called Bébé joue au cinéma, an Eclectic-Films production dated April 1913, length 205 metres, though the entry reads: 'This title is crossed out on the list'. I'm not sure how to interpret that. 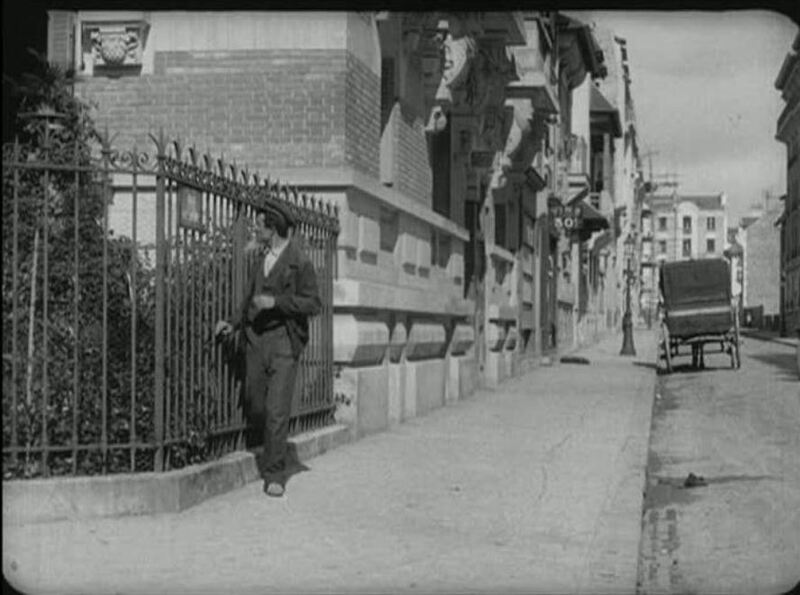 On the evidence of the places filmed, this would be a Pathé film, not a Gaumont film. Which would mean that it was not directed by Feuillade, and that it does not date from 1912. But it would be strange, then, that the film should find its way into the Gaumont archives, and onto a dvd feature about Feuillade; perhaps there is an explanation that escapes me. When I see the complete film rather than just the extracts on the Gaumont dvd, perhaps I'll see the tell-tale Gaumont logo somewhere attached to the set, and I'll have to accept that Feuillade took his team over to film in the Pathé studio. It is true that the team seems to include Bébé's regular co-star Jeanne Saint-Bonnet (who always played the maid), and she remained at Gaumont after Bébé defected, so (I write this two days after the original post) I'm more inclined to think that this is a Gaumont film. But what are they all doing over in Vincennes, 'chez l'autre'? I need more facts. In the meantime, I'll take pleasure in the suggestion that knowing where a film is made might, on occasion, tell us when it is made, and by whom. This is definitely the same studio in which we see Bébé 'jouant au cinéma' - and is that the same bowler-hatted and bearded man in both pictures? I have been able to see the whole film on the Gaumont Pathé Archives site. 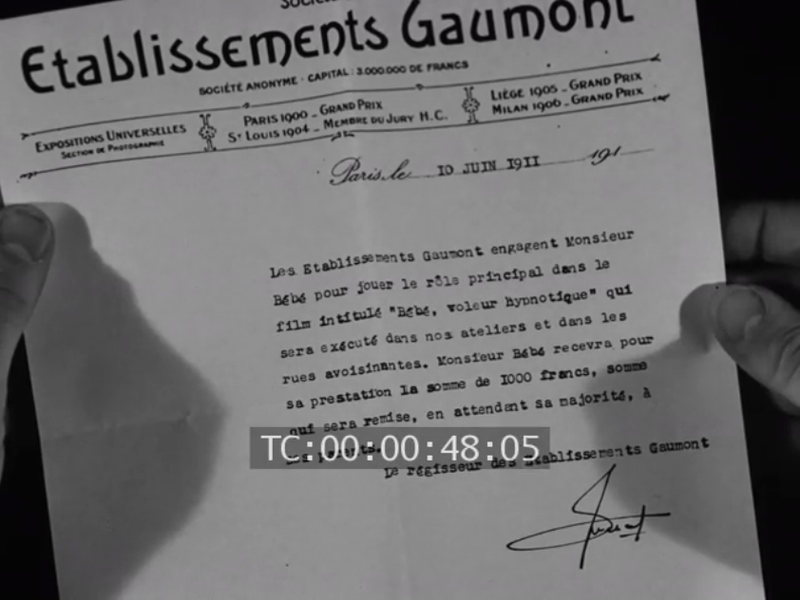 The insert of a letter on Gaumont headed-paper is evidence that this is a Gaumont production, but I conjecture that it was added later to give the film coherence by someone who had made that assumption. The same would be true of an intertitle reading 'Aux Buttes Chaumont', which doesn't refer to the park but to the Gaumont studios nearby. There is no scene in the actual park.